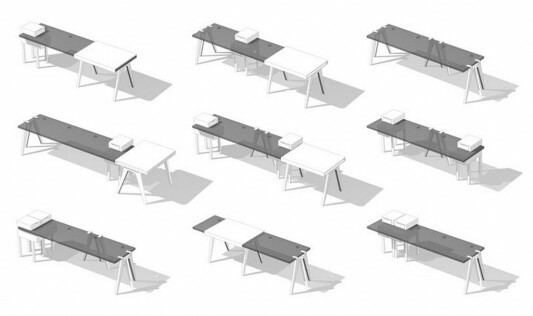 Desk work and Shelving system from Paul Coudamy is designed to always be tailored to the needs, so as to create office space that is constantly changing and adjusting the state and the bustle around him. 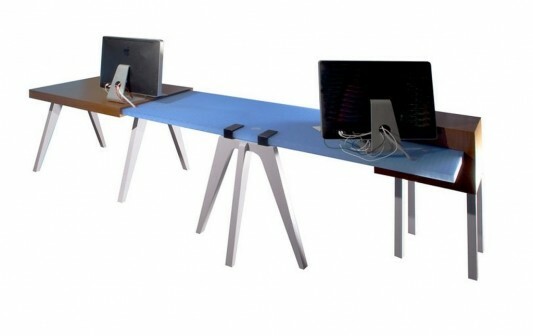 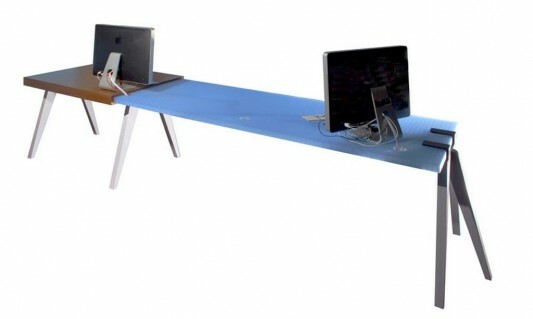 This office furniture design concept based on a trestle system and enter a tray on the board. 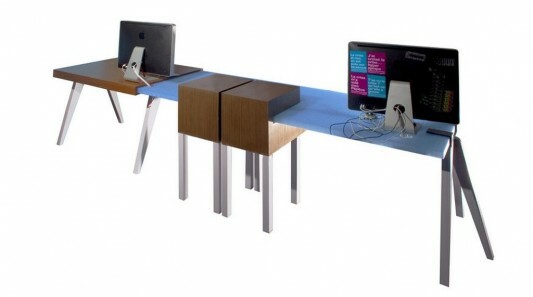 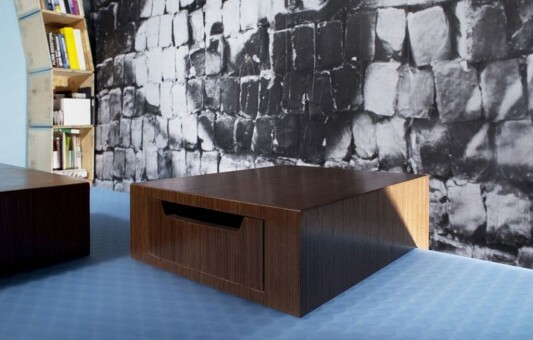 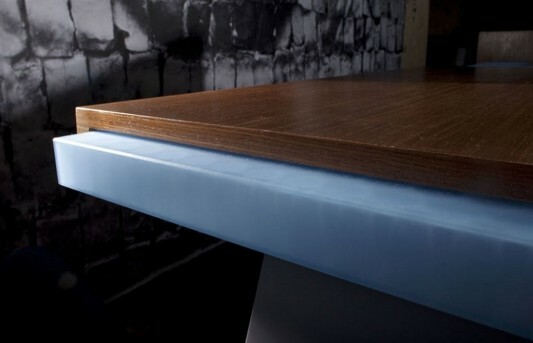 the table is equipped with holes for cable management, so that the surface of the table will look still neat. 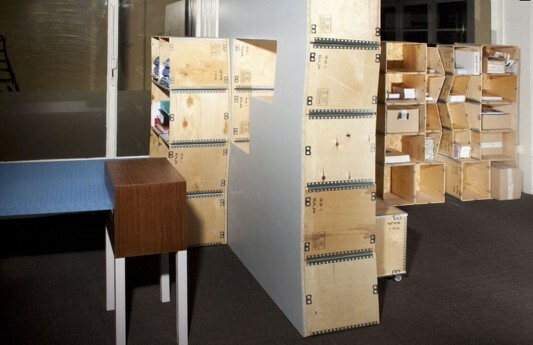 For Shelving system designed with a lightweight and powerful piece, the rack is prepared in accordance with the need for storage. 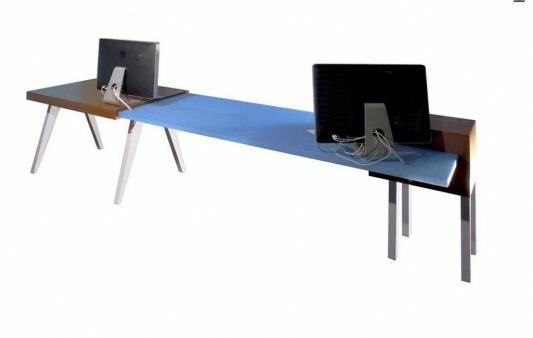 Is ideal for homes with modern office space that is not too large, may minimize the use of furniture. 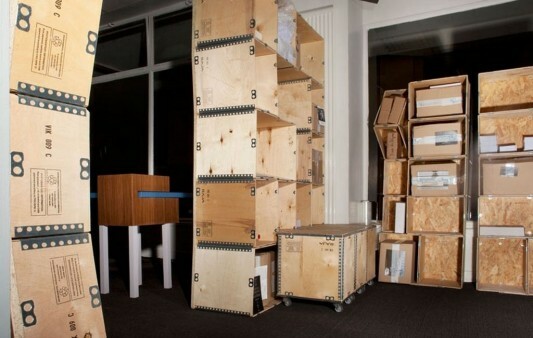 Storage rack systems can also be arranged against the wall, thus maximizing the use of office space. 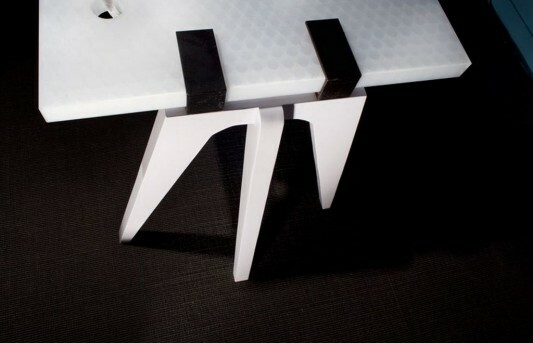 Haptic nice rack section 3 modules implemented by the combination of wood is inserted directly on the board. 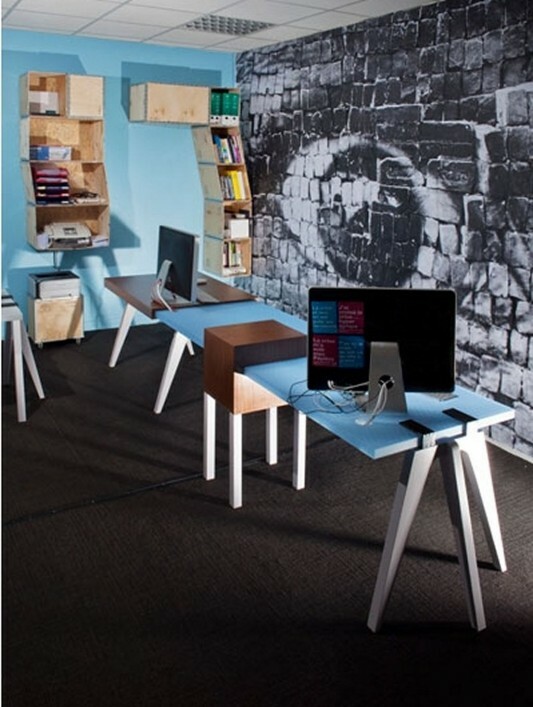 For more information you can contact Paul Coudamy.